Arcane Wonders and MESAboardgames have teamed up to release the English version of VIRAL in the Dice Tower Essentials board game line, the Dice Tower News announced. 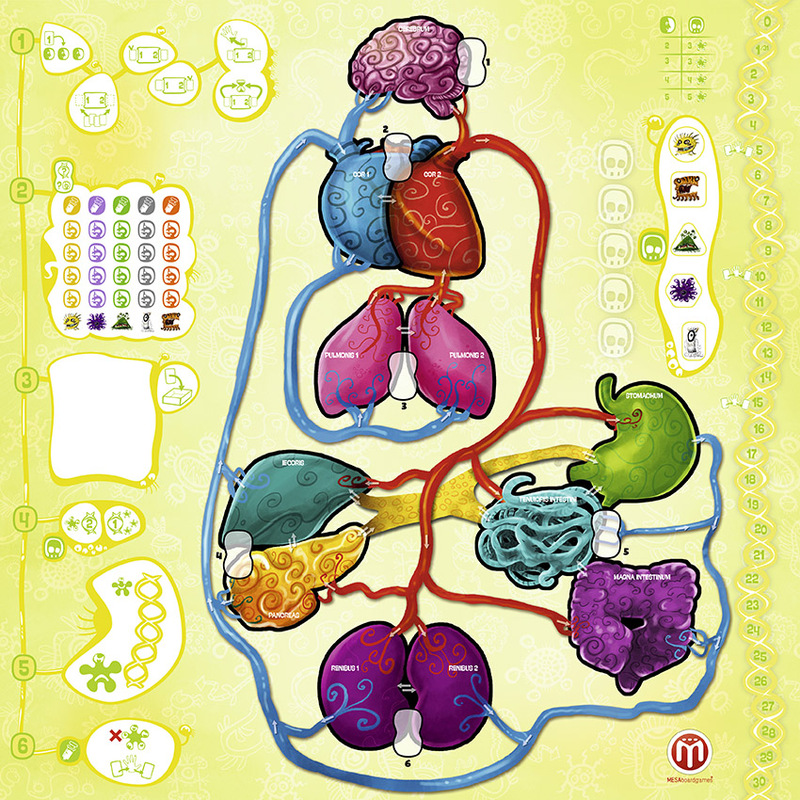 VIRAL is a competitive game where players are attempting to infect and control different organs in the human body. Each person will take on the role of a deadly virus with the power to mutate and take over the host’s organs. But players will have to be careful. If there are too many viruses in the same organ, the immune system will attempt to eradicate the infection. 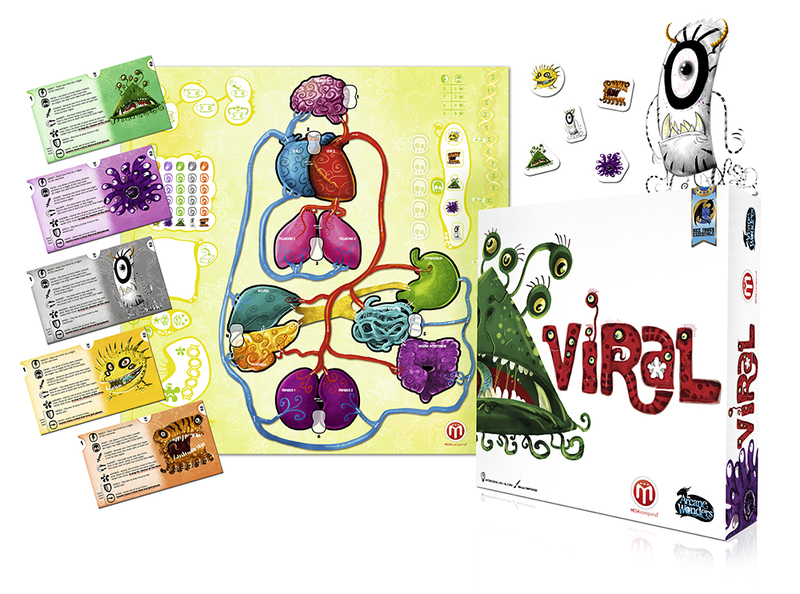 VIRAL is a 2-5 player game, and it will be shown off at Gen Con 2017. The game is set to be released as a Dice Tower Essentials game in August 2017. The Dice Tower Essentials line of board games are the games that well-known reviewer Tom Vasel thinks that every gamer should own. The line of games includes Sheriff of Nottingham, Onitama, and more.